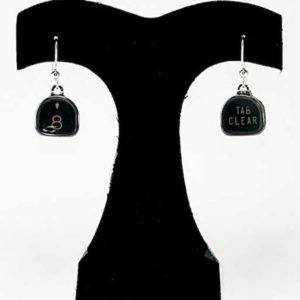 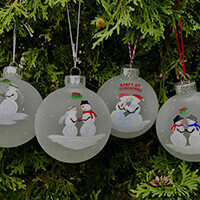 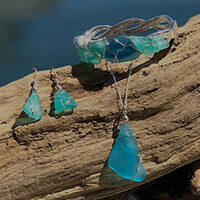 See the matching earrings, large pendant, and bangle bracelet here. 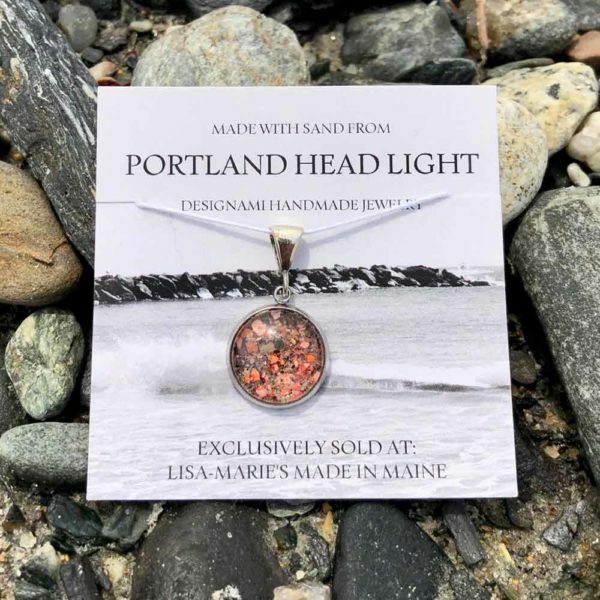 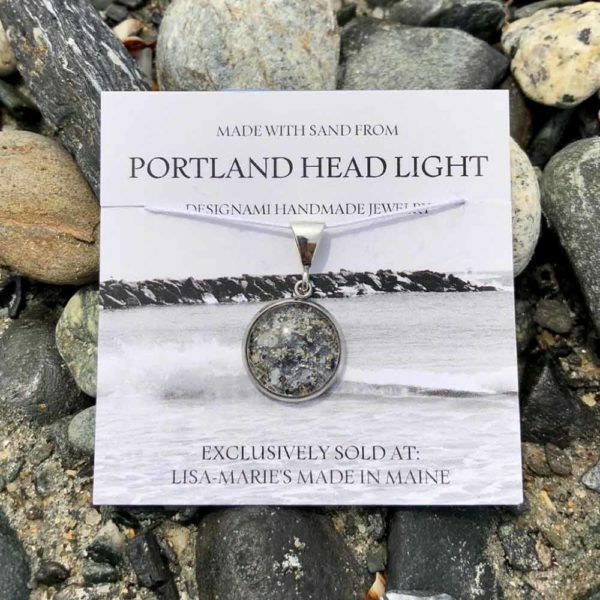 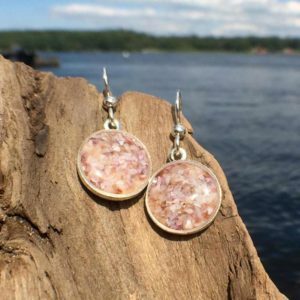 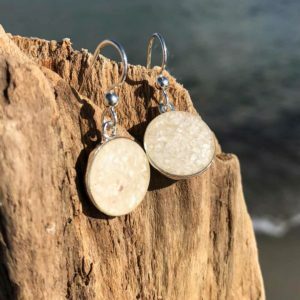 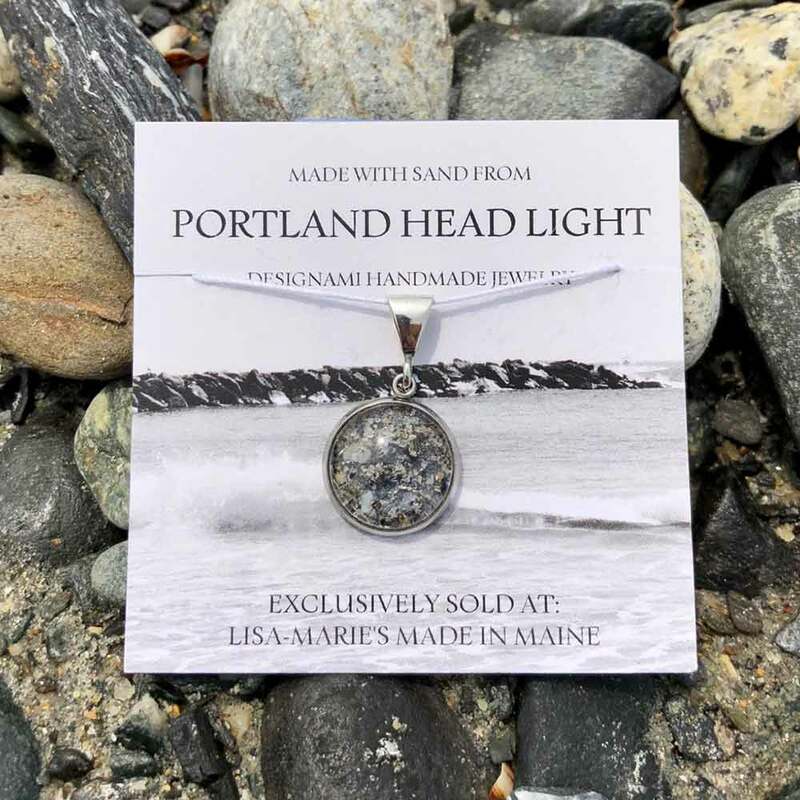 The small Portland Head Light Sand pendant is made from beach sand from the beach right next to the world-renowned lighthouse, Portland Head Light. 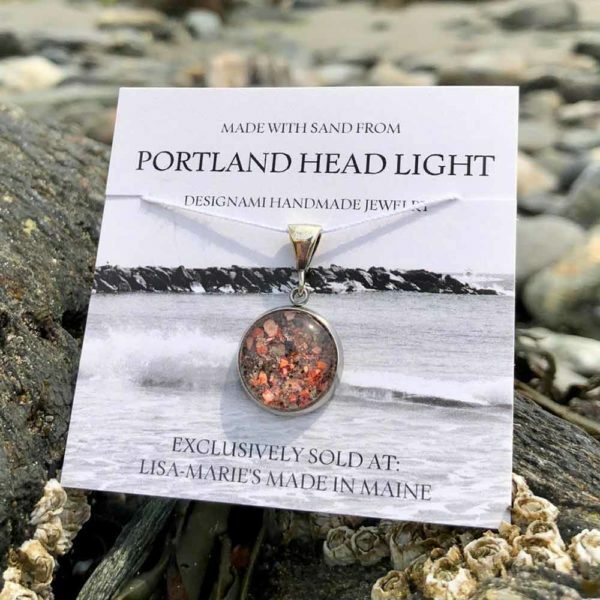 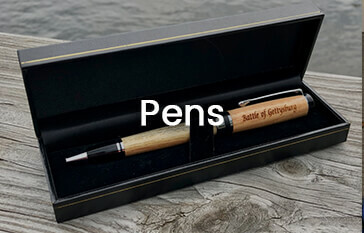 The artists adds crushed shells to the sand and covers it in glass on surgical steel. 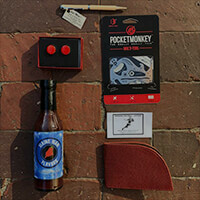 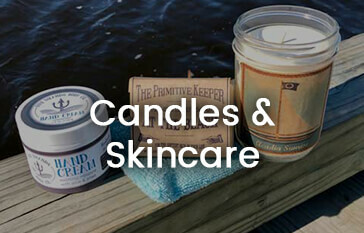 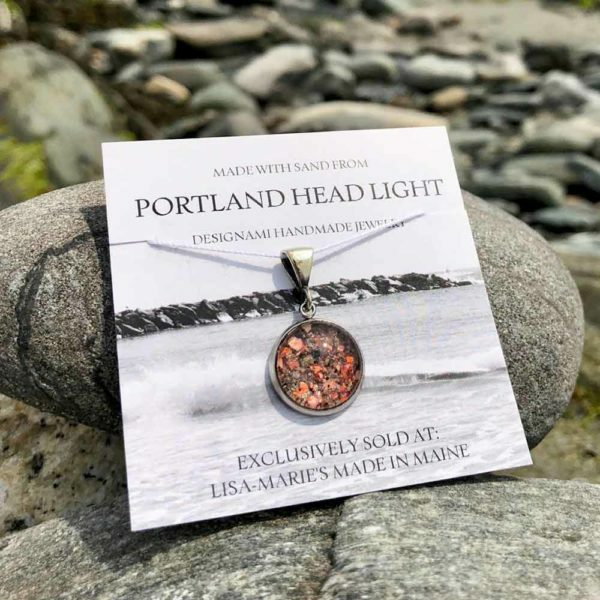 Is Portland Head Light special to you? 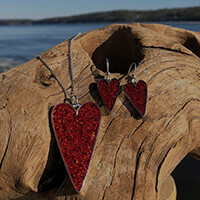 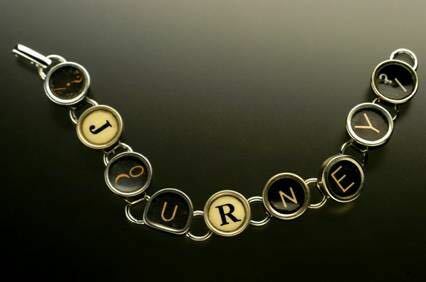 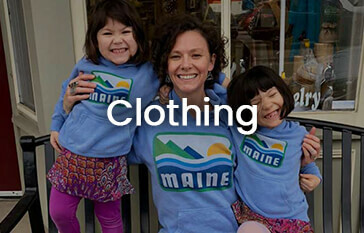 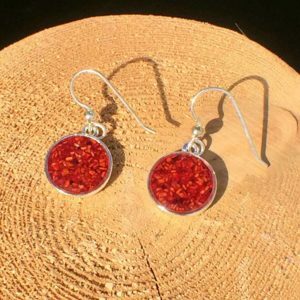 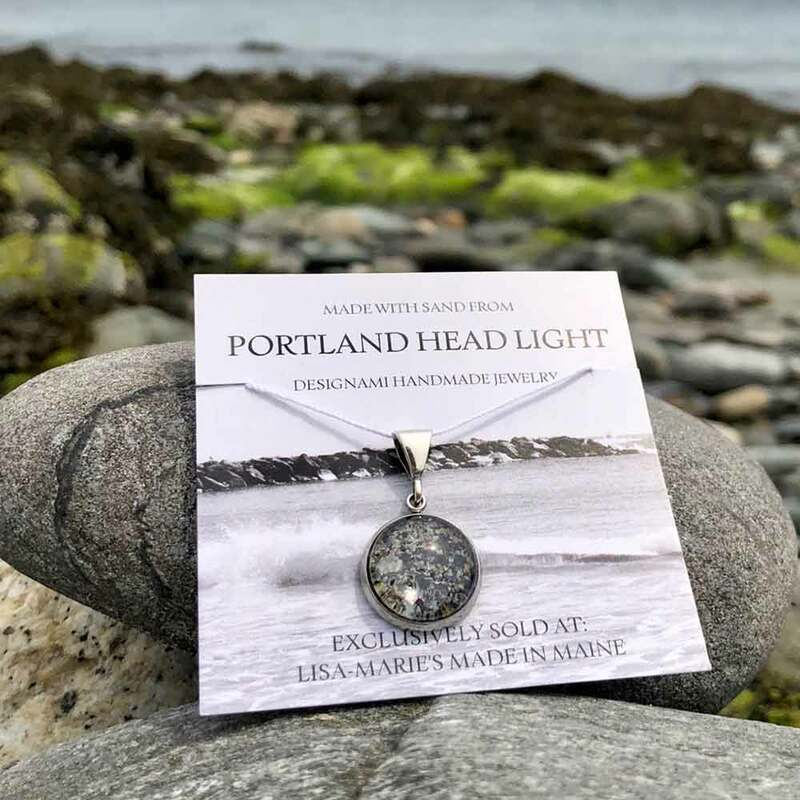 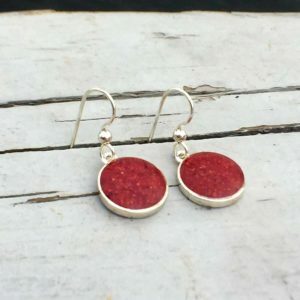 This jewelry is a perfect way to remember the annual family pilgrimage, a special summer spent in Maine, or to gift to someone commemorating a special event occurring at the monumental head light.